Many guitarists ask for the score of the trio’s arrangement of Libra Sonatine by Roland Dyens. The guitar part is published with Editions Henry Lemoine. The bass part, notated by Eric Calmes can be downloaded here. Percussionist Enrique Firpi based his part on the bass part. 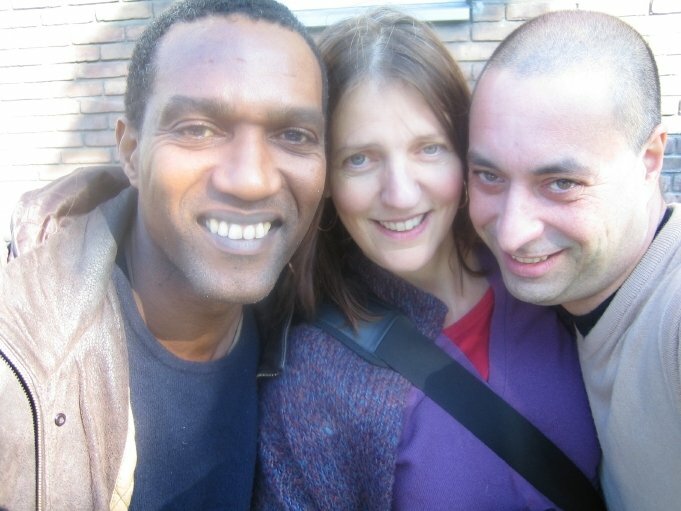 If trust you to mention the Esther Steenbergen Trio, as the arrangers, whenever you use it. Classical guitarist Esther Steenbergen is internationally recognized for her fresh approach to the repertoire. Renowned both as a soloist, ensemble player and accompanist of instrumentalists and singers, she performs with musicians from all styles and disciplines. Occasionally she takes part in theater productions. With her own trio she crosses the classical repertoire with Latin American jazz and folklore. Esther Steenbergen divides her time between initiating projects, playing concerts and writing. 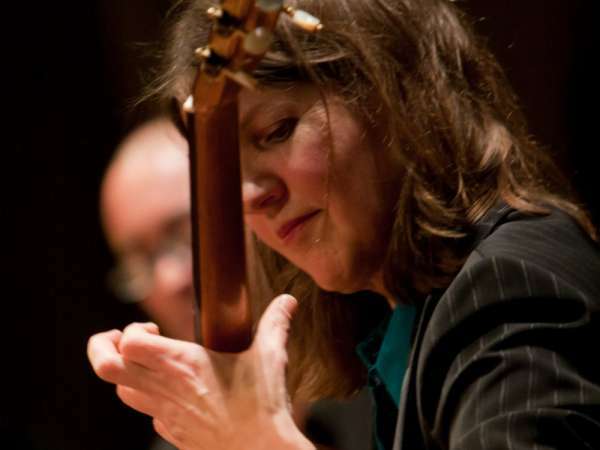 Together with guitar maker Otto Vowinkel, she organizes the international guitar series in the Amsterdam Concertgebouw: Meesters op de gitaar.